Baylor University established a new program in experimental high energy physics (HEP) in 2003 with the hire of Prof. Jay R. Dittmann, and in 2009 Prof. Kenichi Hatakeyama joined Baylor as another faculty member in this research area. 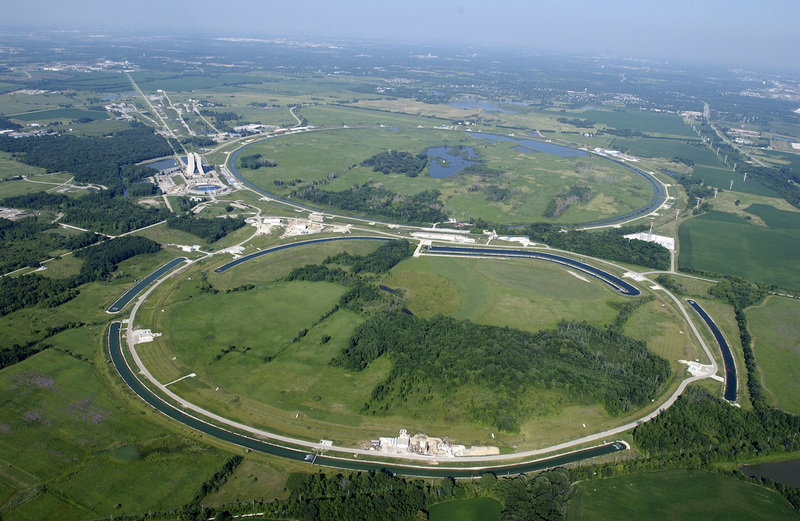 The Baylor experimental HEP group has been engaged in experimental elementary particle physics research at the European Center for Nuclear Research (CERN) in Geneva, Switzerland and Fermi National Accelerator Laboratory (Fermilab) in Batavia, Illinois, USA. The group's research activities are summarized below. Please visit our other pages to learn more about the people involved in the experimental HEP group, our research, the publications from our group, and talks that we have given. 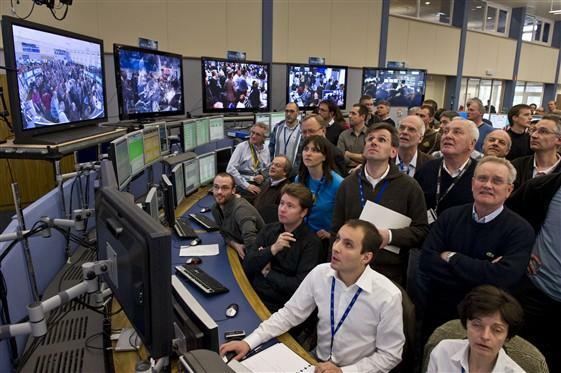 The Large Hadron Collider (LHC) at CERN launched a new era for particle physics on March 30, 2010, when protons collided for the first time at a record energy of 7 TeV. 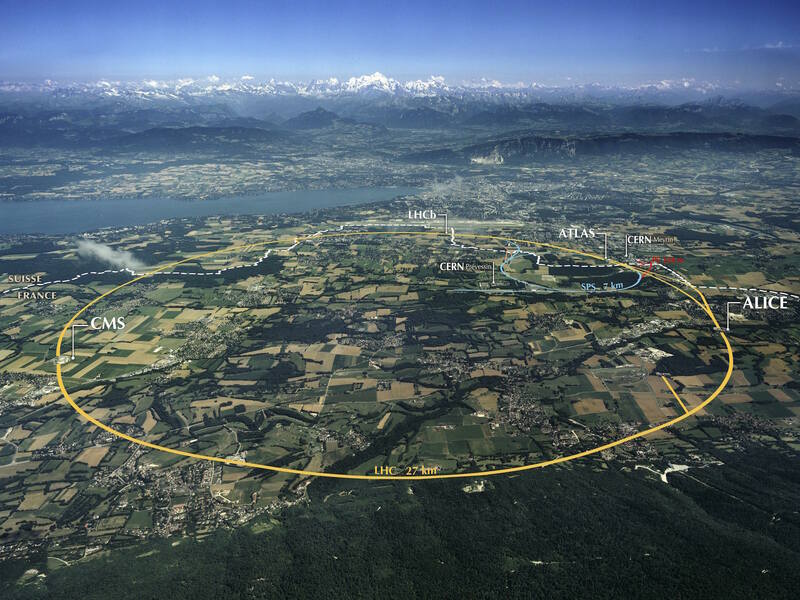 These collisions mark the start of a decades-long LHC research program, and the beginning of the search for discoveries by thousands of scientists around the world. In 2012, the collision energy increased to 8 TeV, and after a long-shutdown in 2013-2014, the LHC is colliding protons close to its design goal of 13 TeV. Dr. Hatakeyama, who joined the Baylor physics faculty in 2009, has been involved with the Compact Muon Solenoid (CMS) experiment at CERN since 2006. In March 2010, Baylor made a proposal to officially join the CMS Collaboration as a new university group, and the proposal was warmly accepted in May 2010 (see, for example, here). Currently, Dr. Dittmann and Dr. Hatakeyama are working together with Baylor postdoctoral research associates, Dr. Hongxuan Liu and Dr. Nathaniel (Joe) Pastika, graduate students, Ahmad Borzou, Ken Call, and Caleb Smith, and several undergraduate students on the analysis of CMS data. 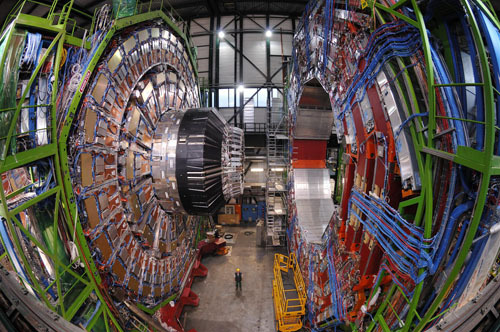 The Baylor CMS group has been actively pursuing searches for Supersymmetry, one of the most well-known yet unproven particle physics theories since 2010. The observation of Supersymmetry would provide insight into dark matter, and it would also shed light on the hierarchy problem and the unification of the electroweak and strong interactions. Recently, group members performed an inclusive search for Sypersymmetry in the jets plus missing ET final state and a search for top squark in all hadronic final state in data collected in 2015 at 13 TeV, the highest energy ever achieved in a laboratory. We have a computing farm for the CMS experiment, which we use for these data analysis efforts. The group members also work on the operations and upgrade of the hadron calorimeter (HCAL) of the CMS experiment. 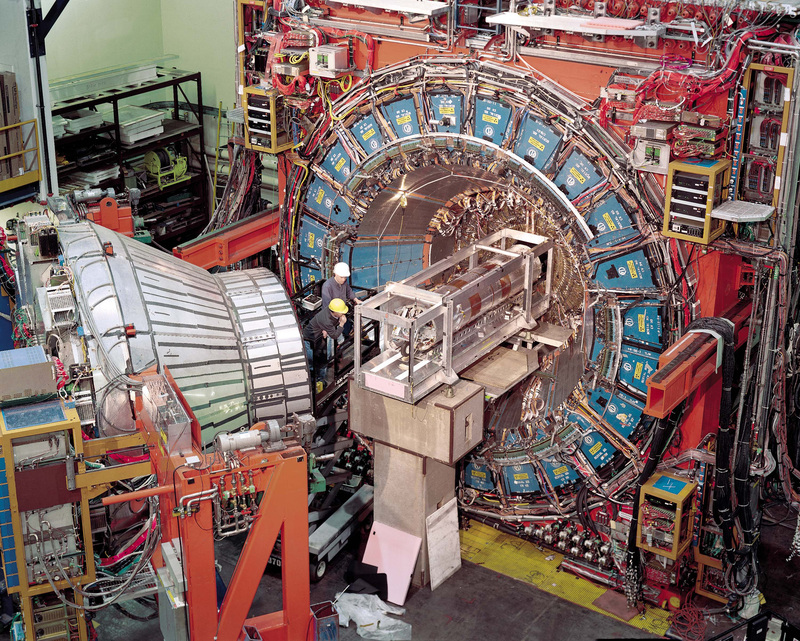 The CMS detector consists of several sub-systems, and the hadron calorimeter measures energies of the hadrons (pions, kaons, protons, neutrons, etc). The group plays important roles for the electronics upgrade of the hadron calorimeter as well as the software development and validation for the hadron calorimeter readout. Dr. Dittmann currently serves as a deputy project manager for the CMS HCAL, and Dr. Hatakeyama is a HCAL detetor performance group. In the past, the Baylor CMS team members are also pursuing detailed measurements of ’jets’ of energetic particles, which indicate the production of quarks and gluons, in order to improve our understanding of Quantum Chromodynamics (QCD), and also played leading roles for commissioning of the “missing” ET measurement, critical for Supersymmetry searches and studies of Higgs boson in several Higgs decay model channels. The 2013 Nobel Prize in Physics has been awarded to Francois Englert and Peter Higgs for their prediction of the Higgs Particle in 1964. 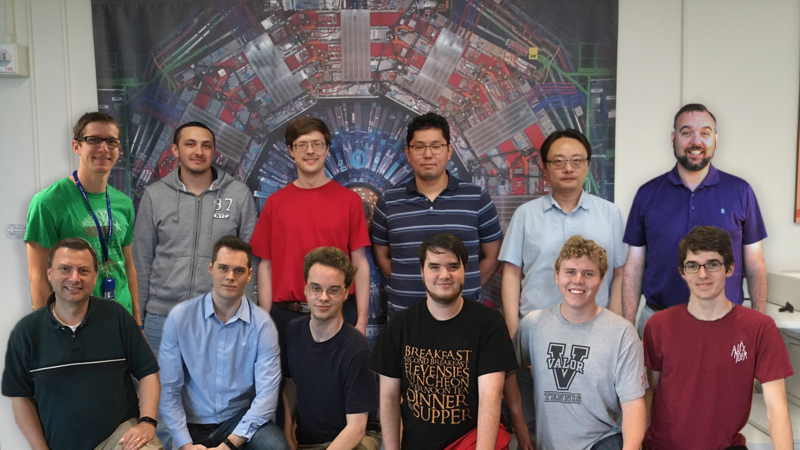 Members of the Baylor High Energy Physics group are associated with the CMS experiment at CERN, one of the two teams that announced the discovery of the Higgs in July 2012.
software associated with the hadron calorimeter. Led by Dr. Jay Dittmann, the Baylor HEP group stayed active on the Collider Detector at Fermilab (CDF) experiment. For over two decades, the CDF experiment collected data from the collisions of protons and antiprotons ’ particles accelerated to nearly the speed of light by the powerful Tevatron accelerator. Although the Tevatron was decommissioned on September 30, 2011, physicists continued to complete analyses and publish new results using the proton-antiproton collision data. Since the beginning of 2011, four Ph.D. graduate students ’Sam Hewamanage, Martin Frank, Karen Bland, and Zhenbin (Ben) Wu’ successfully defended theses based on their analyses of data collected at CDF. Sam focused on a study of proton-antiproton collisions in which a photon emerges directly from the collision together with ’jets’ of energetic particles. Using these data, it is possible to test the predictions of QCD and search for ’anomalous’ physics that could include the production of new, undiscovered particles. Martin and Karen worked in analysis groups that searched for the infamous Higgs boson, whose discovery was one of the most outstanding discoveries in particle physics! Martin was a key player in the analysis to discover the Higgs boson in the WH channel, and Karen actively investigated the case where a Higgs decays into two photons. Ben wrote a thesis on measurements of single top production - the single top cross section and the CKM matrix value Vtb - in the lepton plus jets final state. These measurements investigate properties of the electroweak interaction and test the possibility of physics beyond the Standard Model. Funding for the Experimental High Energy Physics group at Baylor is provided by grants from the U.S. Department of Energy and Baylor University.